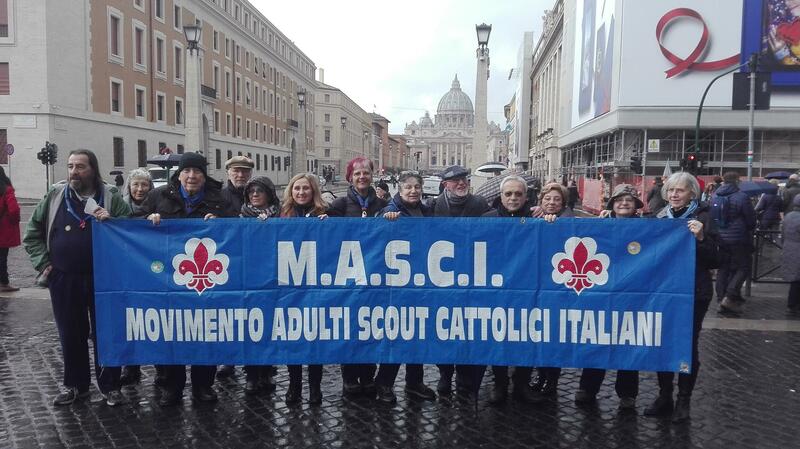 The Masci (Italian Adult Catholic Scout Movement) "is an adult organization addressed to all men and women who share the ideals and principles of Scouting" (Article 1 of our Community Covenant). We care lifelong learning in adults trough Scout method. 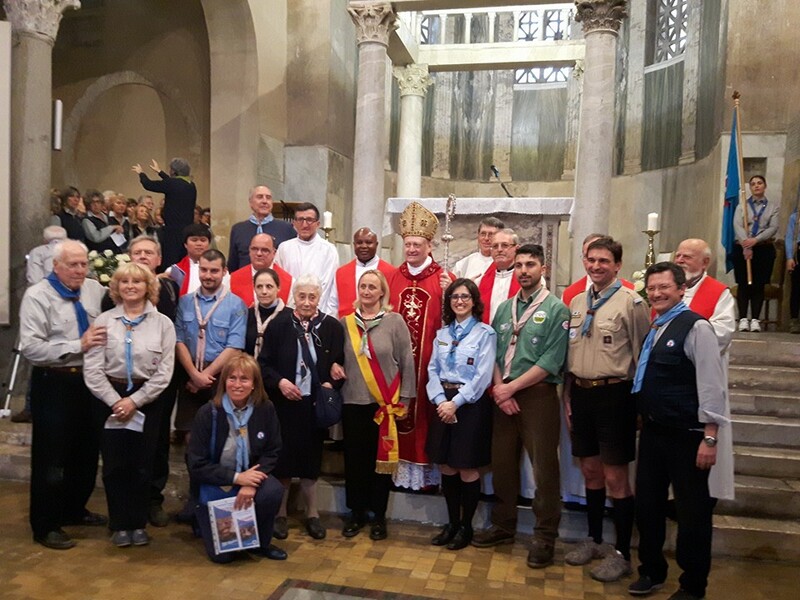 "We are men and women coming from different paths and experiences, united by the belief that scouting is a path of freedom for all the seasons of life and that happiness is in serving others." (from Masci Community Covenant). 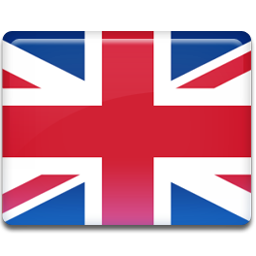 The fellowship is organized into twenty regional branches for each of the Italian regions. Masci Lazio has 36 communities, for a total of 500 adult scouts.Our region is located in central Italy and hosts Rome, the splendid Capital full of history and art, the city of St. Peter's Basilica and the Colosseum. Latium includes four other fascinating “province” (departments): Frosinone, Latina, Viterbo and Rieti. In addition to a great artistic and cultural heritage, our region is rich of natural treasures: the long coast over the Tyrrhenian Sea, with the Pontine islands; wonderful lakes (e.g. Bracciano and Bolsena), magnificent walks can be made on the Cimini mountains or on the Terminillo. Nearby the city of Rieti Masci holds a scout center, named “Base scout di Sala -Riccardo della Rocca”, in memory of a great figure of reference for our fellowship. "This base has been, and will continue to be, a meeting place of fraternity, among those who are united by the same Law and Promise. "(Sonia Mondin, President of Masci, Ceremony of dedication of the center, 18 June 2017). We offer welcome and orientation services in our wonderful region to scout fellows who are visiting or wanting to take part in our initiatives. On the first day of each year, Masci takes part in the march for Peace, on Via della Conciliazione in front of the Basilica of San Pietro; in February we realize many initiatives on the occasion of the Thinking Day; on 23rd April, Day of San Giorgio, we renew our Promise in a ceremony in San Giorgio al Velabro, in the center of Rome; in summer we organize work camps in the areas recently hit by the earthquake (Amatrice in particular); in Christmas time we care the diffusion of the Light of Peace, a flame that from Bethlehem is shared all over the world.